← Age-old Question: What’s to Eat? With the popularity and convenience of sliced bread, we may have forgotten that in times past the act of breaking bread, not slicing it, symbolized eating together and hospitality. 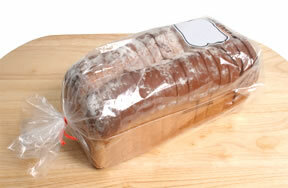 Originally “breaking bread” meant the literal breaking of a loaf of bread. In time the phrase “breaking bread” expanded to mean, “to engage in a comfortable, friendly interaction” over a shared eating experience (Urbandictionary.com, “Breaking Bread”). The phrase is “a standard Jewish expression from pre-Christian times which refers specifically to the action of ‘breaking bread’ at the commencement of a meal, and then by extension, to the meal itself” (The New Testament Speaks, “The Meaning of ‘Breaking Bread’” on-line resource). Customarily the father or an honored guest usually broke the loaf at a meal and asked a blessing over it. The family and guests shared a common meal, taking their portion from the broken loaf—ideally joined for a brief time in the pleasure of eating and conversation. On many occasions Jesus broke and blessed bread: when He fed four thousand followers (Matthew 15:35-36), when He fed the five thousand (Matthew 14:19), when He instituted the new Passover symbols (Matthew 26:26). Jesus, as the honored guest of Lazarus, Mary and Martha, would likely have broken the bread at the meal He ate with them (Luke 10:38-42). When Jesus ate with two disciples on the way to Emmaus, He assumed the honored role and broke bread at their meal. Now as it came to pass, as He sat at the table with them, that He took bread, blessed and broke it, and gave it to them. Then their eyes were opened and they knew Him; and He vanished from their sight (Luke 24:30-31). Breaking bread was a meaningful practice in which an honored father or guest broke the loaf of bread, the essential “staff of life.” In asking the blessing over the bread and the meal to follow, he acknowledged God as the Provider of life’s essentials and of life itself.